When law firm Mayer Brown International acted as legal advisor to Entertainment One on the acquisition of Alliance Film Holdings they wanted a tombstone that reflected the film industry. At Podium, we love movies and so we wanted to come up with an academy award standard design. 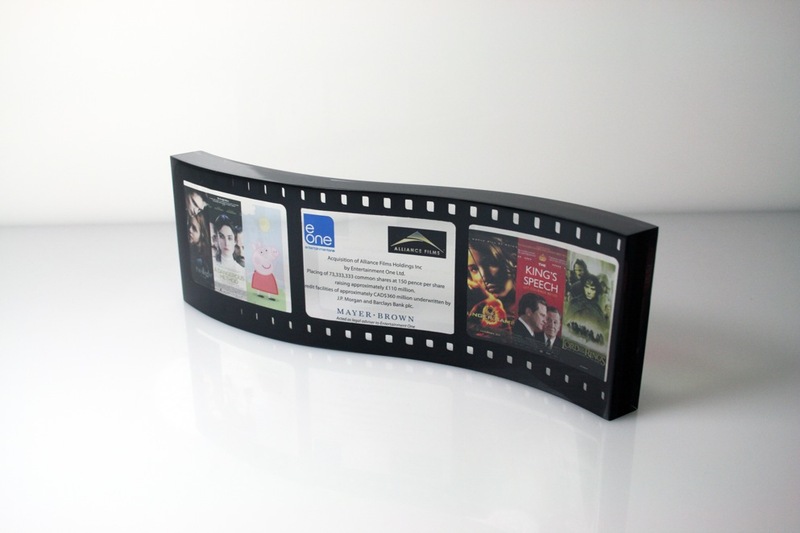 Our wave-shaped film strip, came complete with projector sprocket holes, giving an instantly recognisable, free standing tombstone with all the glamour of the industry.